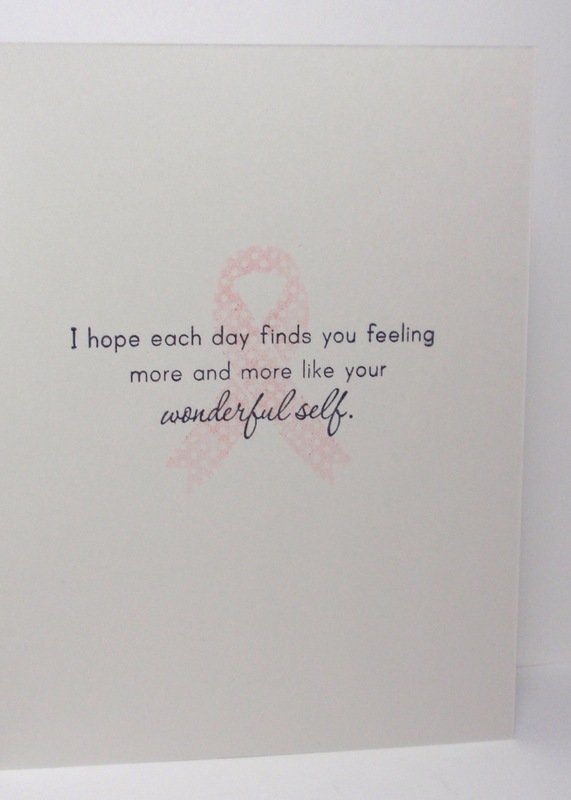 I made the following card for a friend and fellow golfer who had breast cancer surgery the day after Christmas. 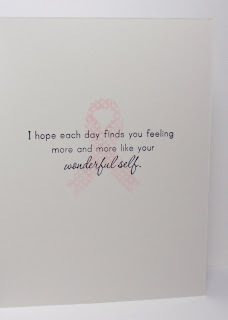 I like to keep encouragement cards simple, without a lot of embellishments. To make this card, I started by perusing my Pinterest boards and picked out a couple of inspiration cards that I had recently pinned. Then I searched through some patterned paper pads and found some really pretty, but subtle peachy-pink paper on a light gray background. It matched Papertrey's Light Stone card stock so I went with that. 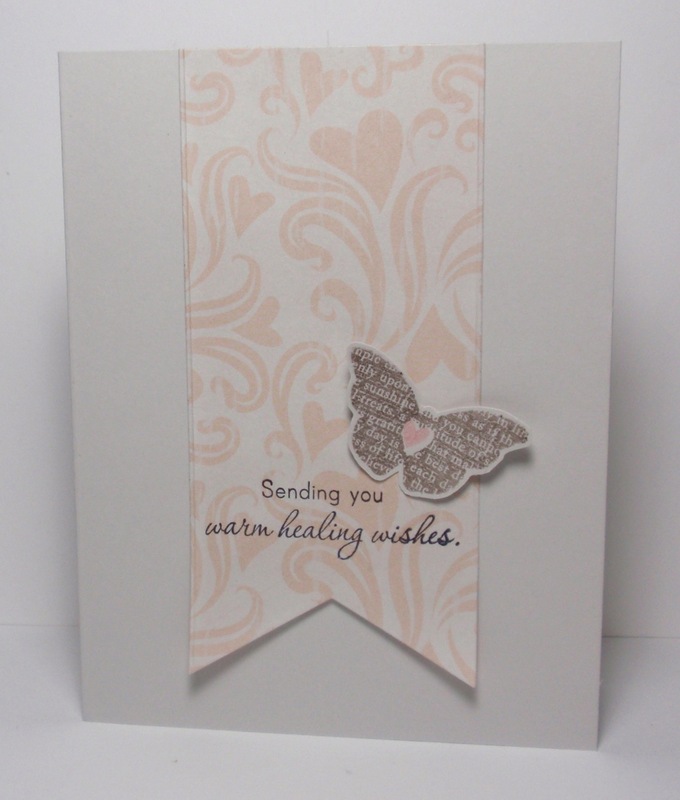 For my stamps I knew I wanted to use Paptertrey's Healing Touch Sentiments and the butterfly from their Love Lives Here set. With that, I made my card. I am very happy with how it turned out. What do you think? Beautiful card Linda! I love the butterfly!